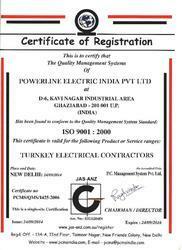 Established in the year 1993 Power Line Electric India (p) Ltd. is reckoned as the dominant Contractor, trader and Exporter firm exhibiting specialization in offering the industry approved range of Electrical Power Equipments. 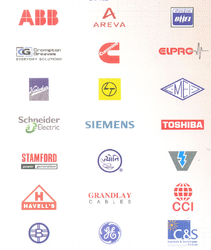 Our strong domain expertise reflects in our wide assortment of products, which includes best in class Electrical Transformer, VCB Breaker and SF6 Breaker. With an objective to provide a value for money product to our esteemed patrons, we are partnered with credible entities that are leveraging the next generation manufacturing technology to present a viable product range featuring beneficial properties of innovative mechanism, easy installation, weather proof performance, cost effective operations and utmost operator safety. To achieve true partnerships with our valued customers from across the globe we are engaged in conducting feasibility studies and have developed an organizational strategy to streamline our distribution networks. Our product offerings are utilized for varied electrical applications and trusted widely for preventing electrical short circuit. Thereby, we make sure to procure the quality tested range of equipments that complies with the international standards of manufacturing and safety. Moreover, we have invested in sustaining our knowledge resources and believe in the culture of improvisation to create lasting alliances with our valued patrons, business partners, stakeholders, vendor base and logistic companies. Mr. Rohan Agarwal is the driving force behind our rapid stride. He is a keen personality whose visions and strong business acumen gained us groundbreaking success in the global marketplace. Our procurement agents have knowledge of the modern market trend and clients' demands. We have selected the trustworthy vendors of the market with good market record. We have been able to attain optimum client satisfaction by providing the high quality products. Our procuring agents select vendors on the basis of their goodwill, production base, product quality, financial records, production techniques, etc. 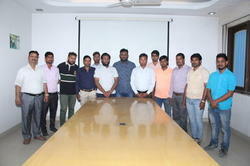 We have huge business links with renowned vendors and we encourage them for regular improvements for the best results. We have a team of experienced procurement agents, who assist us to provide the superior quality products to our clients. Our offered products are highly acknowledged for their premium quality. 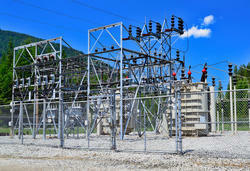 We mainly deal with design, manufacture, supply, erection and commissioning of HT & LT Electrical Power Distribution Panels ,Substation Equipments upto 132 KV & Switch yards up to 132KV. We have been offering our services to various industries like Cements, Sugar, Power, Bio-Technology, Spinning, Mining, Pharma, Chemicals, Bulk Drugs, Paper, Hotels , Hospitals ,Furnances, Rolling Mills, Steel Plants ,Effluent Treatment, Solvents, Breweries, Engineering and Infrastructure etc. We have Import and export license and we have successfully supplied and offered our services to various industries in Indian States Like Andhra Pradesh,Arunachal Pradesh,Assam,Bihar,Chattisgarh,Goa,Gujarat,Haryana,Himachal Pradesh,Jammu and Kashmir,Jharkhand,Karnataka,Kerala,Madhya Pradesh,Maharashtra,Manipur,Meghalaya,Mizoram,Nagaland,Orissa,Punjab,Rajasthan,Sikkim,Tamil Nadu,Telangana,Tripura,Uttaranchal,Uttar Pradesh,West bengal,Chandigarh,Dadar and Nagar Haveli , Daman and Diu,Delhi,Lakshadweep,Pondicherry.